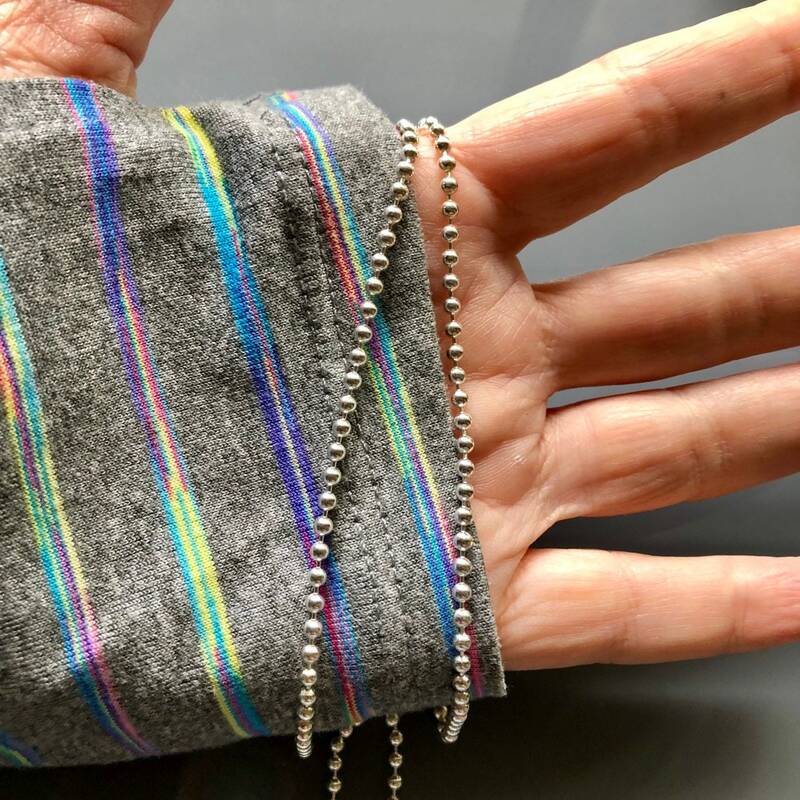 Choose your desired length for this bright sterling silver 2.5mm ball chain with connector stamped ‘STERLING’. Finished sizes available are: 18”, 20”, 22”, 24” and 30”. Indicate your preferred length at checkout. Wear as is, or add your favorite pendant for a clean, contemporary look.